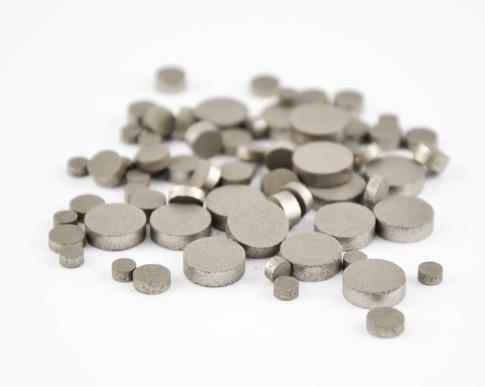 The pills are obtained by compressing the SAES getter alloys powder in a controlled and stable manufacturing process. Compressed pills come in many different sizes and configurations allowing the easy selection of the most suitable model for any given vacuum device, depending on its expected gas load. As other Non Evaporable Getter products, pills sorb effectively active gases (i.e., H2, H2O, CO, CO2, O2, ...) and can keep high vacuum conditions in a variety of sealed off devices.